LoriKay has a myriad of alternative healing tools that bring balance mentally, emotionally & physically and loves teaching others about vibrational medicine. She does healing sessions over the phone as well as in person. She is certified in Foot Zone Therapy (similar to Reflexology). LoriKay is also certified in Investigating Health™ with additional training in multiple other energy clearing modalities. In 2017 she completed 2 Investigating Brain classes which help bring a new depth to her practice. She loves using Homeopathy & Smarterdrops™ as well as Meditation Techniques that bring balance to all FOUR bodies--Physcial, Mental, Emotional & Spiritual. It can take time to unravel a problem or get to the core of a physical, mental or emotional challenge. When we learn the lessons of our trials, then they can be lightened or even removed. We are very much like the layers of an onion or a ball of yarn. It has taken many years to get to your present situation but there should be a level of peace & improvement felt after each session, especially if you are in tune with your body. LoriKay has been married to Scott since 1989 & graduated from BYU in 1991 with him. She was an elementary school teacher for 2 years before having her first son. She now has 4 wonderful children. She always thought that she would go back to teaching when her youngest child was in school, but the severe health challenges she faced for 4 years after having her first 2 boys put her on a different path. LoriKay has had the opportunity to grow while learning natural things to help with her health challenges. Some of those learning opportunities have been from hypoglycemia, gestational diabetes, glucose intolerance, depression, anxiety, chronic fatigue, Epstein Barr, fibromyalgia, food sensitivities, migraines, and severe skin rashes. She has recently learned that she has an autoimmune disease called Hashimotos, but is symptom free from all of the above ailments because of applying lifestyle choices, nutrition and energy work. She is hopeful that something that she recently learned will help with poor circulation and back pain. (She rolled a car at 17 and wasn't wearing a seat belt!) For the past 23 years the right people have shown up in her life helping her to achieve another level of health. Taking Footzoning Training in 2010 is where she started making leaps and bounds in her knowledge as well as ability to help others. She is always learning more skills all the time. What is Vibrational Medicine or Energy Work? The first thing to understand is that everything is energy. From the cells in your body to the emotions you feel, all are different forms of energy vibrating at their own specific frequency rates. Energy cannot be created or destroyed. It can, and does, change forms constantly. It is a blessing that energy is able to change forms. It is when energy stops flowing and becomes stagnant that the body will start to show signs of dysfunction and disease. Energy work is any technique that is used to remove outside negative energy, repair the damage, and correct any remaining disturbances to the energy body. Our bodies have energy fields and energy systems (ex. meridians, aura,chakras) which if not blocked will flow and keep us in good health. These systems are organized and correspond with many of our physical systems. These energy systems help and protect our physical bodies when they are functioning optimally but if there is damage of the flow of these energies, the parts of our bodies that they support or protect will begin to have challenges. Sometimes physical damage to our human body cause corresponding damage to the energy body. Mostly, it is a consequence of our life experiences and choices, as well as the emotions we have about them and even the outside energy influences we may be exposed to as result. This is where I come in! I am able to connect to your energy, identify what is causing the energy not to flow properly and help get it flowing again. I work with your energy! This is why I call myself an energy worker, not an energy healer. Jesus Christ is the healer, I help as a conduit for His healing light and love to work towards achieving harmony in your physical, mental, emotional and spiritual energies. Sometimes I think of myself as a cleaning lady, helping take out emotional baggage to give to Christ and cleaning out chakras so His spirit may more easily flow into us, but unless actions change, big messes will continue to appear. Eastern cultures have been practicing energy medicine for thousands of years developing a knowledge and understanding of energy systems of the body and how they are affected by harmful issues (emotions, traumas, pollutants, etc.) These methods have been brought back to our culture at an ideal time. Your body is truly designed to heal itself. Its ability to keep a balance to maintain a healthy state is quite amazing. The problem today is that we live in a very unbalanced world with plenty of influences that interfere with your body's natural ability to heal. We can work together to peel the layers of negativity, dis-ease and blockages, preventing you from being "your best you." What can energy work help with? -Rashes- multiple things need to be addressed. -Digestive issues- multipe thing need to be addressed. This is very tricky, energy work has usually reduced the intensity and frequency of the issue. This is multifactural and needs to be hit at multiple angles. How Can I Connect to Your Energy? First of all, I must have your permission to connect to your energy to work on you. Agency is one of God's laws that He is a respecter of. Likewise, I will only work on those who have given me verbal or written permission to do so. Secondly, all things in the universe are made of energy. The light of Christ is in all things and because of this, we are all connected. Have you ever had an experience when you could sense that something is happening to a loved one that isn't physically near you? It is because you are energetically connected to this person that you are able to feel and sense what they are experiencing. After I get your permission I pray and ask if I have God's permission to work on you and then through that prayer and intention, I ask to connect to your energy. How are You Able to Find Out What is Occurring in My Energy? How Does Energy Work. . . Work? Because we are based in energy, every molecule of us moves and vibrates. We are powered by energy from the electrical currents that power our heart and mind, to our more voluntary movements and motions. Streams of energy are flowing in and through us while powering our lives. When flow is interrupted, we can experience pain, dis-ease, disconnect, confusion, or a myriad of other symptoms. Energy work identifies and clears the blockages so proper energy flows, restoring homeostasis. This can be done in person or over distance. I can work independently and report back towards the end of your appointment time or have you on the phone with me during the entire hour long session. I like having a list of symptoms or challenges that you are experiencing to help you with. I do charge $40 for the first session and require an intake form to be electronically signed before starting work. A first session may last as long as 90 minutes. After the first session, I do offer packages that help the price stay at $40 a session instead of $60. Our bodies are MIRACLES! We are beings of divine nature that are programmed for healing. Lets work together to access and unlock healing. The true source of light and healing comes from the Atonement of Jesus Christ. Do you have to be a believer to experience healing? NO, all mankind can be blessed by the light of Christ. I am merely a facilitator. All of my gifts, come form Him, including the ability to move and clear energies. Within each person's feet lie detailed and complex signal systems. This signal system is thought to be connected to every part of the human anatomy: the circulatory, lymphatic, nervous, skeletal, endocrine, digestive, respiratory, reproductive, and muscular systems; as well as the emotional and spiritual bodies. These signals are believed to run throughout our bodies, especially to the extremities: the ears, hands and our feet. With this mapping, a trained & certified Foot Zone practitioner is able to access the body. The knowledge of the reflexes on the feet and other extremitites has been around for thousands of years. Hieroglyphics and ancient paintings depicting this therapy have been found in Egypt and India. Energy work through the feet also has roots in many other civilizations: Arabic, Grecian, Russian, European and even American Indian cultures have developed their own modality of healing through the feet. In more modern terminology the body is accessed through the feet similar to the way a computer is accessed with a keyboard; allowing old programs to be deleted and gives our subconscious and physical brain the stimulus to correct and renew the body at the cellular level. From the beginning, each cell in our body has had the knowledge and capability of renewing itself. Our DNA pattern holds a perfect blueprint of our body and is able to heal and rebuild the perfect cell. We daily become subjected to a host of toxins; from the air we breathe, to the food we eat, and the water we drink- even our negative thougths and emotions can be toxic. Compounded with these toxins we regularly experience health robbing stress and it unquestionably takes a toll on us. Zone therapy encourages the body's natural healing capability by stimulating blood circulation, hormone balance, lymph flow, digestion, assimilation, and elimination. Zoning helps this physical healing occur because it puts the body in a parasympathetic state. Zoning balance does take time. It works with the body's own innate intelligence, and only allows the body to do what it can when it can. I have personally enjoyed learning about how energy work can be applied during zoning sessions. 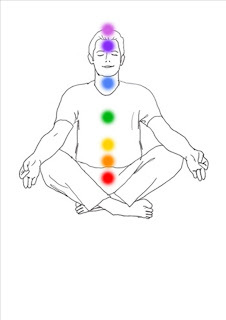 For instance, I work with chakra signals during the footzone and help those energy centers open and flow. I also can find emotional vibrations that are trapped in the physical tissues and help them release. I also absolutely love applying simple emotional release techniques during the zone but also offer just energy sessions. How is Foot Zoning Different than Reflexology? Foot zoning is more detailed than reflexology as it treats every body system during a session and is directionally appropriate and in line with how each organ works in the physical body. Dr. Charles Ersdal, a Norwegian doctor (M.D., M.A.) discovered that the body would consistently respond as a dynamically interralated whole rather than as separate symptomatic parts. He charted the entire physiology including the brain, endrocrine, blood, lymph, circulation, masculature and found that there was a directionally apprpriate way to address each signal. Foot zoning is a great way to treat the body in its entirety. The body's intellegience decides which order is best for overall healing to occur. Before the 1930's Dr. FitzGerald discovered an interesting fact; that the application of pressure on the feet not only relieved pain in the correlating zone, but in the majority of the cases also relieved the underlying cause as well. Dr. Riley became one of his students and worked with Eunice Ingham. She is considered the mother of reflexology because she was the one to map the reflex points on the feet and called this modality "reflexology." It was in 1950 that Dr. Ersdal heard of the reflexology technique and was helped tremendously. His experience thrust him into 26 years of intense research. Dr. Ersdal was interested in dicovering why reflexology would work on some patients but not others. One night as he slept he had a dream which answered this question. He was told that the body needed to be treated in its entirety and not only the reflex points. He was also shown the placement of the spine, the organs and body systems on the feet. Based on what he was shown, he continued his study of the human body and physiology. During this time of research, Dr. Ersdal was able to chart the human anatomy as it relates to these points on the foot. He reaffirmed that this method utilizes the feet's natural "signal" system and even treats the signals for the organs and endrocrine system in a way that is directionally appropriate and in line with how that organ works in the physical body. What is the Purpose of the Foot Zone? The purpose of the Foot Zone Technique is to help bring the body into balance. The spiritual, emotional, mental, and physical bodies do not work in isolation, but rather in tandem. While they do each have their own role and function, Ezra Taft Benson said, "There is no question that the condition of the physical body affects the spirit." Foot zoning brings the mental & emotional bodies into balance as well. The foot zone allows each cell in our body to resonate at its intended frequency. By accessing the energy meridians in our feet we can stimulate the signals prompting the body to go back to its original state of vibration which will rejuvenate, restore & rebuild. How long balance is maintained from the foot zone is determined by the client’s willingness and diligence in addressing imbalances in each of these bodies - spiritual, emotional, mental, and physical. During a footzoning session they can learn other actions that help their body maintain balance and be empowered with how to more fully take charge of their whole wellbeing. Our emotional baggage consists of actual energies, these energies can become trapped in our physical bodies. They distort the normal energy field of the body, creating pain, malfunction & all manner of disease. Trapped emotions can affect you physically just as much as they can mentally and emotionally. Wind is a wonderful example of something that you cannot see, but yet effects things; likewise, trapped emotions are invisible and yet can exert powerful forces that add to emotional difficulties, self-sabotage and at times can magnify the intensity of a physical illness. Does Energy Work Fit with The Gospel of Jesus Christ? "Laboratory experiments by quantum phycistists in the last few decades have scientifically shown the existence of a universal field of energy. This has been important as I have studied whether the premises of Energy Medicine fit with the gospel of Jesus Christ & LDS beliefs. It has been amazing to discover how much prophets have written about healing & the invisible, subtle energy of light around us. They have compared the universal, subtle energy that physicists discovered with the light of Christ & paired other principles found in both science & religion. Parley P. Pratt taught, "There are several of these subtle, invisible sub- stances but little understood as yet by man, & their existence is only demonstrated by their effects." (Key to the Science of Theology, 39) Elder Pratt, who was an apostle, follows by teaching that the purest & most refined & subtle of all substances perform the healing of the sick & that those with spiritual gifts can feel & see it. What validating statements for facilitators of energy healing!" "I have learned over & over that all truth fits together. God doesn't distinguish between scientific truth & religious truth because it is all His truth. People are usually surprised to learn that chakras are spoken of in the Bible. A chakra is a swirling vortex of unseen subtle energy. Scientists speak of them as step-down transformers for higher frequency subtle energies in the human bioenergy field." "Biblical prophets such as Ezekiel & Daniel use the Sanskrit word for "chakras" which is "wheels" when they speak of them. Ancient traditions teach about these main energy centers being vertically aligned in the body.The book of Ezekiel says the prophet saw wheels going "up & down" the body "as a rainbow." (See Ezekiel chapter 1) Every color & location that Ezekiel mentions for the vertical colored "lamps" he saw match the location &/or color of the ancient tradition's chakras. Furthermore, that prophet taught that the spirit of the living creature was in the wheels!" "The Bible shows a plethora of support for principles of Energy Medicine, which I discuss in the book I am writing. In addition, new fields & discoveries in science offer much validating evidence. For example, science has discovered that forgiving others & ourselves actually affects our DNA. The discovery that DNA can change is of immense importance. The new scientific field of Epigenetics supports teachings that we can consciously use our emotions to affect our DNA & our immune response.Our thoughts, emotions & feelings affect us physically! We are no longer victims of our heredity. Bruce Lipton teaches that with this knowledge we become masters of our health rather than victims of genetic circumstance. Underst&ing this can give ill people great hope." "Recall that the glory Ezekiel saw, "was like burning coals of fire, & like the appearance of lamps; it went up & down among the living creatures & the fire was bright" (verse 13). Verse 22 says above their head it was the color of the "terrible crystal" (which Bible scholars debate as being either white or purple). Verse 26 says, "above the firmament over their heads it was the color of a sapphire stone" (deep blue). Verse 27 reads, "I saw as the colour of amber ...from... the loins upward." Verse 27 reads, "from the appearance of his loins even downward I saw as it were the appearance of fire." I don't know what color fire looks like to you, but orange or red seem to be likely c&idates because, "the appearance of the bow that is in the cloud in the day of rain, so was the appearance of the brightness round about. "If you go back to verses 15-16 5 it speaks of "one wheel upon the earth," by the [four] living creatures. The "appearance of the wheels & their work was like unto the colour of a beryl." Scholars on various languages translate that word differently. Some say a beryl is gold while others say it is commonly light green (or bluish yellow, pink or white). Interestingly, the heart chakra is said to be green &/or pink. Since the colored lamps' "brightness was as a rainbow," (ROYGBIV) we are left to expect green somewhere. In my book Healing Arts there are other quotes about fire & glory & wheels. You can read in the Topical Guide under "wheel "& find other verses in Ezekiel 10 as well as other books. LoriKay has been happily married to Scott since 1989 & graduated from BYU in 1991 with him. She was an elementary school teacher for two years before having her first son. She now has 4 wonderful children. She always thought that she would go back to teaching when her youngest child was in school, but the severe health challenges she faced for 4 years after having her first 2 boys put her on a different path. LoriKay has had the opportunity to grow while learning natural things to help with her health challenges. Some of those learning opportunitites have been from Hypoglycemia, Gestational Diabetes, Glucose Intollerance, Depression, Anxiety, Chronic Fatigue, Epstein Barr, Fibromyalgia, Food Sensitivities, Migraines & Severe Skin Rashes. She has recently learned that she has an autoimmune disease called Hashimotos, but is symptom free from all of the above ailments because of applying Lifestyle Choices, Nutrition & Energy Work. She is hopeful that something that she recently learned will help with Poor Circulation & Back Pain. (She rolled a car at 17 and wasn't wearing a seatbelt!) For the past 18 years the right people have shown up in her life helping her to achieve another level of health. Taking Footzoning training in 2010 is where she started making leaps & bounds in her knowledge as well as ability to help others. She is always learning more skills all the time. Please know that LoriKay is not a doctor. She doesn't claim to diagnose, treat, cure, or prevent any disease.